Friday Feature: USADA, UCI, WADA – what’s it all about, Overlord? So much dirt, so many revelations, so many vials of evidence … who can a girl turn to in order to make some sense out of all this, especially if she hasn’t had the time to keep up with the developments around the USADA reasoned decision and subsequent UCI press conference? Well, this girl turned to @UCI_Overlord, that twilight figure on Twitter who keeps his identity secret but his inside knowledge public. I posed a few choice questions to Overlord around the events of the last few weeks and he came back with some very thought-provoking answers. Just as I knew he would. Kitty: The USADA report: did anything in the report surprise you? Overlord: The most surprising thing for me was seeing the Italian investigators release Ferrari information to USADA prior to their criminal investigation concluding. I think it demonstrates just how much cooperation is occurring between organisations that are committed to cleaning up the sport. I was aware of most of the confessions, so those details didn’t surprise me. Kitty: Did anything about the reaction to the report surprise you? Overlord: I was surprised by the rapid response of Armstrong’s sponsors in their stampede to the exit doors. I was also surprised the UCI stepped up their timetable from the end of the month to Monday. The public reaction, the peloton reaction, and the media reactions were not that surprising. Kitty: Sky made a real hash of their opportunity to take the lead on this – in direct contrast to Garmin and how Jonathan Vaughters has been handling this all along. Their ‘sign this piece of paper or be fired’ policy just gets my dander up because a) didn’t they do that when they hired these people – why didn’t they do their due diligence? and b) it’s not helping the problem, it’s just keeping the omerta alive and well. What are your thoughts on Sky’s behaviour over the past few weeks? Overlord: I think Sky has quite a bit of work to do. I think they come up with great ideas and great concepts behind the scenes, but really struggle in getting out the proper message. That’s been my primary criticism of the team this year. What also bothered me was their reaction to one of my commentaries on cyclismas.com, where I actually was defending Wiggins. The only thing they harped on was the plaster, and turned the piece into a doping accusation, which wasn’t the point of it at all. However, based on my first comment, again, it shows they really struggle in conveying their message effectively. 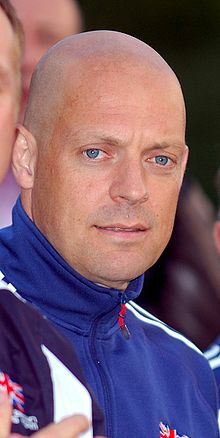 Brailsford has a mantra of the best people to suit his purposes. He’s a cagey businessman in this respect. The trouble is, hiring Geert Leinders and employing staff with dubious connections backfired on him in this climate, and he has completely underestimated the impact of social media in cycling. I firmly believe cycling has the most sophisticated fans on the planet, and they can be credited with much of the pressure Sky is feeling at the moment. The other trouble is with all the exposure they have achieved with their phenomenal record this year, which has put them under the microscope. Other teams have similar connections and staff, but fail to receive the same amount of scrutiny. This goes back to their poor attempts to manage the message and control the perception, and now we see the results of this in a massive way in light of the Armstrong situation. Kitty: Omega Pharma-Quick Step have fired Levi Leipheimer – your thoughts on the signals this sends to the rest of the peloton? Should they have kept him on? 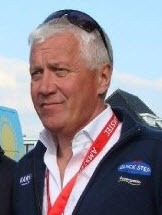 Overlord: I think Patrick Lefevere missed an opportunity to join in the voice for change. I think it was more of an opportunity to shed salary in order to offset the Mark Cavendish expenditure. Again, this is another example of how a team manager has missed an opportunity to shift the message to reflect the current climate. We’ve heard rumours of Hein Verbruggen putting pressure on Lefevere in Beijing during that race, so it leads people to certain conclusions. He could have followed the example of Bjarne Riis and how he handled the Contador affair, delaying the spotlight until Leipheimer’s ban was up. He could have said he’ll consider bringing Leipheimer back after his ban et cetera. Instead, he stuck to the old pattern of actions. Time will show us just what Lefevere’s intentions truly were. I think it’s too early to judge him completely. Kitty: Trawling through all the tweets over the past year for the blog, I find it rather astounding at the level of vitriol poured out over Lance Armstrong – I’m not astounded that people hate him, but that they hate him with a blindness that I think makes them miss the bigger issues around this case. For me, it’s not just about him – although obviously he’s more than just a rider who doped – it’s about the corruption, the fraud from what looks like every corner of cycling. What do you see as the core issue of all of this? Overlord: That’s a very good question. Armstrong was a very polarising character in cycling. Even I had a couple of face-to-face run-ins with him over the years. He is a love-him-or-hate-him type, and Tyler Hamilton’s book gives the general public real insight into his personality. 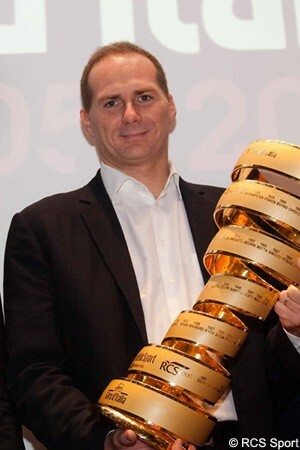 I think he became the personification of exactly everything that went wrong with the UCI and the sport in the past 20 years. Instead of being about the glory of sport, cycling became about ‘global exposure’ and ‘revenue’. Cycling lost a tremendous amount of innocence, beginning in the late 1980s. I really don’t buy into the giant conspiracy theory many purport with Hein Verbruggen as the Emperor Palpatine figure, even though it does make for great comedy for our crew at Cyclismas. I think that a confluence of small capitulations by those who occupy power positions has put us so far off the ledger in 2012 it looks like a giant conspiracy with Verbruggen at the centre. This is firmly a result of allowing race organisers and former race organisers to occupy key positions in cycling federations the world over and also at the UCI. Pat McQuaid was one. Verbruggen is a marketing gent from Mars. Turtur runs the Tour Down Under. They have demonstrated their lack of understanding of the big picture and how their decisions have such a massive impact on the sport across the globe. Not only this, but they have steadfastly refused to conduct business in a collaborative manner with all stakeholders who are impacted by their decisions. Armstrong became a metaphor for all this pent-up anger. Kitty: Cleaning the sport from top to bottom with so many directeur sportifs and team management being former cyclists from the past 20 years, how can cycling clean itself up without losing valid knowledge of tactics and racing – or should it be a phased period? Overlord: I think if the UCI follow the federation model and set up an independent body for anti-doping testing and investigations, it would mitigate some of these issues. How about turning it over to WADA completely? The focus needs to be on education and support at the national federation level. I also think professional cycling needs to be handled by a body outside of the UCI that can communicate effectively between the race organisers, the team owners and the riders. I’ve proposed on many occasions the AIGCP could fit this role. If riders had a voice, they could say, “Look if we’re racing for six hours in the saddle, we’re going to dope. Why not just race four?” These sorts of conversations aren’t really occurring. They should be. Michele Acquarone, the Giro director, was the first one to acknowledge transfers for the riders should be limited in order to give them the most rest they can get between stages. Kitty: There’s a lot of consternation among the Twitterati at the lack of current riders speaking out about what was in the report or stating their opinions regarding Armstrong. Why do you think so many riders are still silent – is it still a fear of retribution from team management, UCI et cetera? Overlord: I think we’ll see more and more over the next few months. Many of the old guard are still in shock Armstrong was taken down. Many of the young riders really were never part of the Armstrong paradigm, so it doesn’t mean much to them. This sort of action is really unprecedented in the sport. The professionals who are good at speaking to the public and are comfortable doing so have done a very good job. Remember some of these lads aren’t the most sophisticated people and are afraid of looking stupid in their comments. I can cite Alex Dowsett as an example who came across poorly in a preliminary interview, and had to follow up to clarify. There is still fear of retribution, so this can’t be discounted. The stories Armstrong told in the peloton have become bogeyman folklore, backed up by Hamilton’s book. Whether it’s true or not that the UCI were colluding with Armstrong remains to be seen. McQuaid was vehemently denying it during the press conference, but then comes out to say he took a phone call from Armstrong on Friday. It wouldn’t make me feel that confident. And team management? They’re waiting for their licenses from the UCI. Once those licences are granted, watch for a secondary avalanche of comments from those folks. Batten down the hatches. Kitty: And on that same note, I think that a lot of the Twitterati are being unnecessarily rude to a lot of riders – e.g. Jens Voigt – for not saying what they want to hear. What do you think about this pressure from fans for riders to speak up? For me, I feel like they’re now put in an almost impossible position from fear of UCI retribution if they do speak up to getting flamed on Twitter from fans if they don’t. Overlord: Very true. In fact, Brad Wiggins dropped off Twitter and I’m sure this had something to do with it. 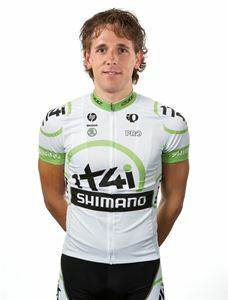 Look, the teams and riders ask the fans to buy their products, wear the team kits, and sing their praises. When you put yourself in that situation, you have opened yourself up to the reaction the fans are giving. It’s understandable for the fans to be a little perturbed if Jens Voigt posts a photo of him having a cup of coffee at Mellow Johnny’s. Why even bother posting the photo, or feel the need to share holiday plans via Twitter? I think riders like Marcel Kittel, Koen de Kort, Taylor Phinney and Chris Froome are a few of the good examples in the peloton. They understand and appreciate the responsibility that being a professional cyclist carries these days. Those four riders haven’t received any UCI retribution at all. Kitty: There’s been talk about an amnesty for riders or a truth and reconciliation approach (even though the UCI voted that down this summer). Do you think that would work, as far as getting the riders to name names of doctors et cetera, who helped them dope? If there was to be an amnesty in return for information, who should they give the information to: WADA, as the UCI has shown itself to be completely untrustworthy? And if there was an amnesty, do you think the riders’ names should be made public? Overlord: Amnesty is a tricky one, as there is no language for this in the current WADA code. It becomes a very difficult issue to manage. Based upon the current level of mistrust between all parties, I doubt it could be handled appropriately. I think the anti-doping agencies at the national level and WADA need to proactively reach out to the riders named. Klaus Mueller, the president of Cycling Australia, stated his national anti-doping agency needed to focus more on investigations and less on results management. This is definitely the direction cycling needs to go. USADA took the lead in this by their reasoned decision, using the riders to expose the network at US Postal and getting to the support staff who pressured or enabled the riders to dope. They have now set the benchmark for all to follow. As far as naming publicly, again, it depends on the investigation. Imagine what would have happened if Jonathan Vaughters was publicly named in 2004 after coming forward to WADA and cooperating with them. Much of what we’re seeing today wouldn’t have happened. Kitty: What was the most astonishing part of the UCI’s statement/press conference for you and why? Overlord: How completely unprepared the UCI was for the questions, and how poorly they handled the press conference. Kitty: What do you think is the most important statement that came out of the press conference on Monday and why? Overlord: The UCI wasn’t going to fight the Armstrong decision, and the fact they were convening a UCI Management Committee meeting [today]. Does this signal a change in their behaviour? Or is it a smokescreen for ‘business as usual’? We’ll see in the coming weeks. Kitty: Pat McQuaid’s statement and his answers at the press conference just made my heart sink. Not that I expected him to own up to being, at best, completely incompetent, but there was nothing in what he said that means anything will change with how the UCI goes about its business. And that means the doping culture can continue almost unabated if it so wished. How to answer a question like the UCI? It feels like we almost need to take matters into our own hands – how do we (fans) make sure the UCI is challenged or forced into doing the right thing? Or do we just burn the mother down? Overlord: I put out a call on Monday with email addresses for cycling fans to contact. I was impressed by the response. Doubly impressive was a statement released on Tuesday by Brian Cookson, president of GB Cycling, acknowledging the receipt of the concerns, and that he would take them to the management committee meeting. This indicates to me that there are those who will change when their feet are held to the fire. It’s our job to continue to dialogue with our national federation representatives to say change is needed at the UCI. If we don’t act in this manner, how can change happen? When politicians fail to receive feedback from their constituents, they will act in their own interest in the void of opinion. This is exactly what has happened at the UCI in the past 20 years. Riders haven’t coordinated a single voice, team owners have squabbled, race organisers failed to pay attention to anything outside their own pockets. Now this is changing. We can thank social media for this. It can’t happen overnight. It takes time to undo what has happened since 1992. Kitty: As the UCI doesn’t accept the USADA’s findings with regards to Armstrong’s biological passport shenanigans from 2009-10, what does that actually mean? Is this something that WADA needs to take up or what? Overlord: It says the UCI isn’t willing to admit its shortcomings, and doesn’t give me a positive feeling that the UCI management committee meeting [today] will produce anything other than the same old typical answers. I think WADA will speak to this in their response to the decision. I doubt it will cast the UCI in a favourable light. Fahey’s comments in the press give us a little foreshadowing in this respect. Kitty: After wading through all this muck, does cycling still excite you? You said to me during the Tour to the effect that, no matter the scandal, once a person makes cycling their own, they’re hooked. What, for you, is the most exciting thing about the sport? Overlord: Cycling is an incredible sport. Speed, intrigue, strategy and scenery combine into this wonderfully sporting ballet. The most exciting thing about cycling for me is its unpredictability. You never know what may happen on any given day. Will a rider crack? Will the break stay away? And the best part? We can all ride the same roads they do, any time we desire. Kitty: Thanks very much, Overlord. I appreciate you talking to us at perhaps the busiest time of your professional life! Vive le Revolution. Follow UCI_Overlord on Twitter and visit cyclismas.com.